One of the most precious gifts in life is love. Yet, no matter how much that special someone means to you, it is often difficult to find a way to express just how you feel. 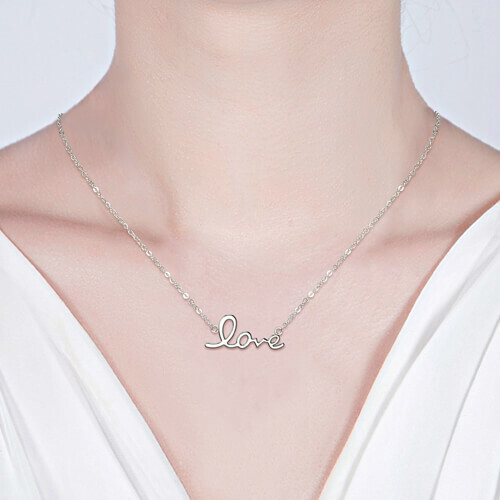 Now, you can send a sincere message of love with this "Love "word necklace that is made of 925 sterling silver.Send a special delivery to the one you love with this exquisite Necklace. 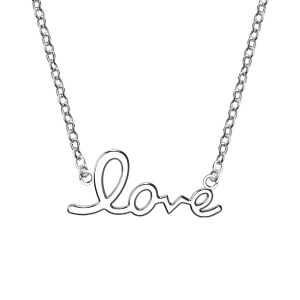 This romantic jewelry gift bears loving messages inscribed inside and out. It is a great surprise for your lover,family members or someone you loved!